When the car is timeless, does the model year really matter? 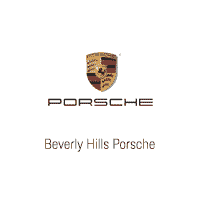 Porsche Approved Certified Pre-Owned vehicles are inspected by our factory-trained technicians who conduct a 111-point mechanical, cosmetic and visual inspection, using original Porsche parts. Each vehicle must pass this rigorous inspection before it can be eligible for enrollment into the Program and covered under the comprehensive Porsche Approved Certified Pre-owned Limited Warranty. The Porsche Approved Certified Pre-Owned program can be the perfect way to ignite your dream of driving a Porsche. We invite you to visit your local authorized Porsche dealership to see how easy and affordable it can be to realize your dream of driving a Porsche. Our team takes an added pride in our pre-owned vehicles, Porsche and other makes. We hold our inventory to the “Beverly Hills Standard,” and thus know it is important to invest into making sure our pre-owned vehicles are like-new. Why risk receiving anything but excellence? *This new warranty does not apply to vehicles sold as CPO prior to December 1, 2017 or vehicles with an existing 2 year/100,000 mileage warranty while still covered under the new vehicle limited warranty. This warranty is not valid if sold by any non-authorized commercial dealer or broker. If this vehicle is traded to a non-authorized Porsche dealer or broker for resale purposes, the Certified Pre-Owned Limited Warranty is void.